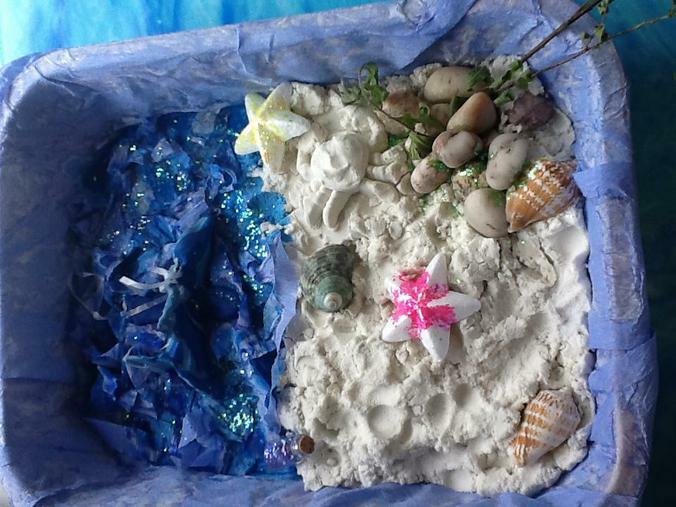 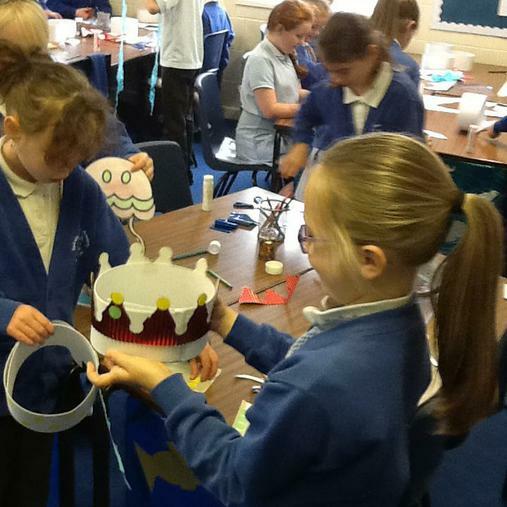 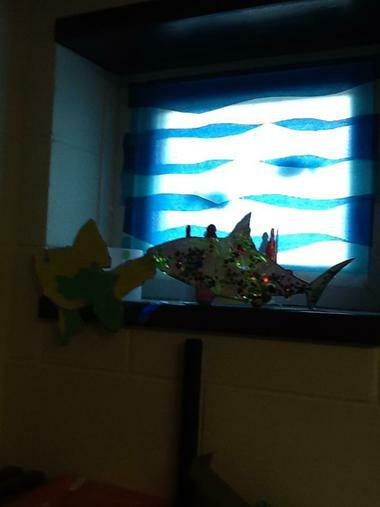 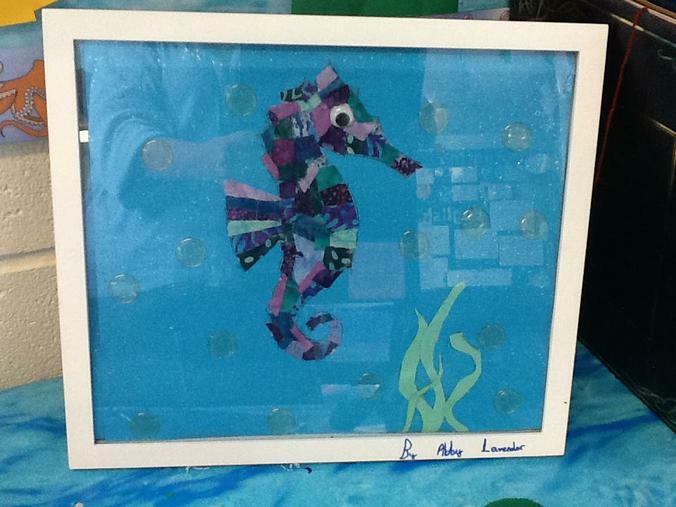 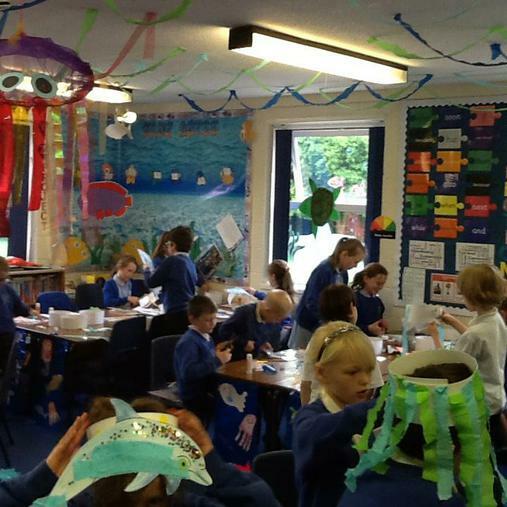 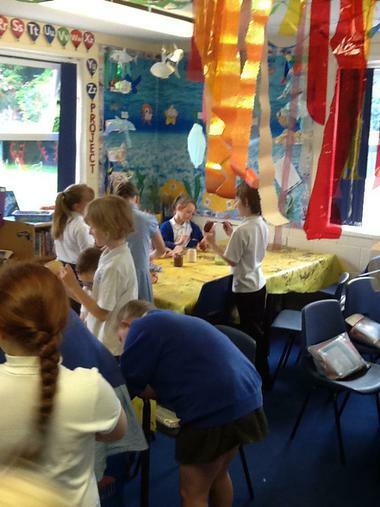 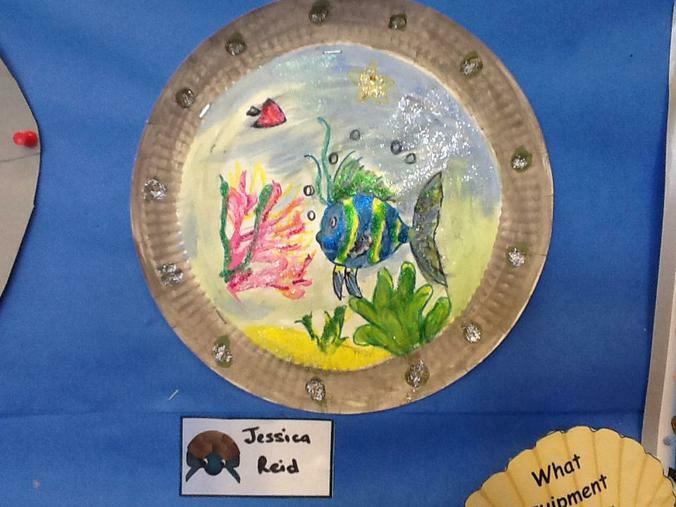 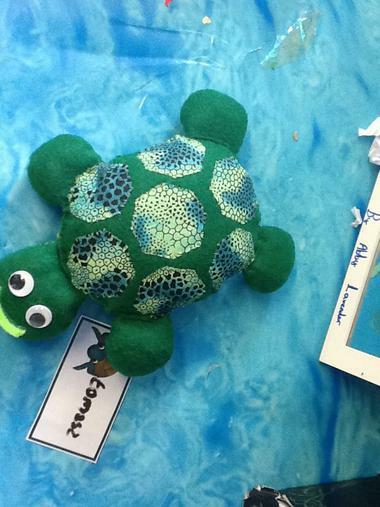 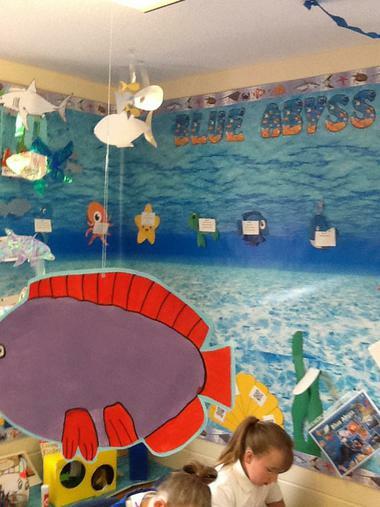 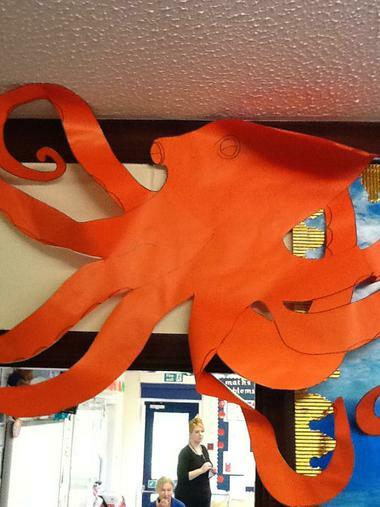 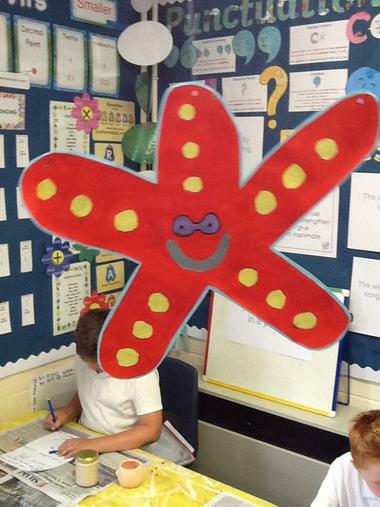 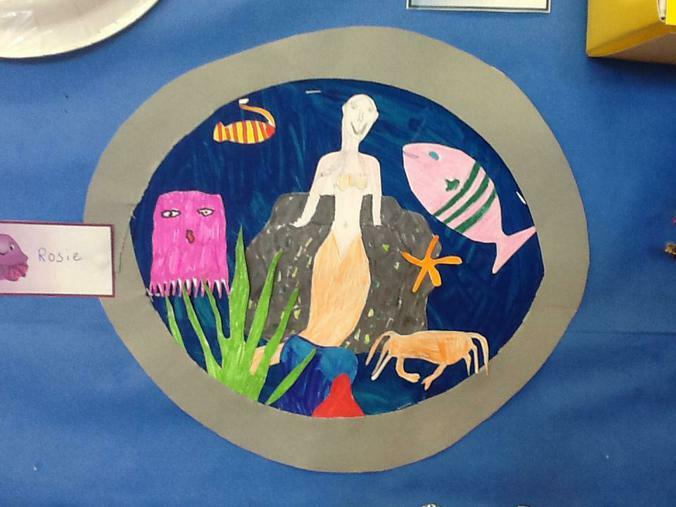 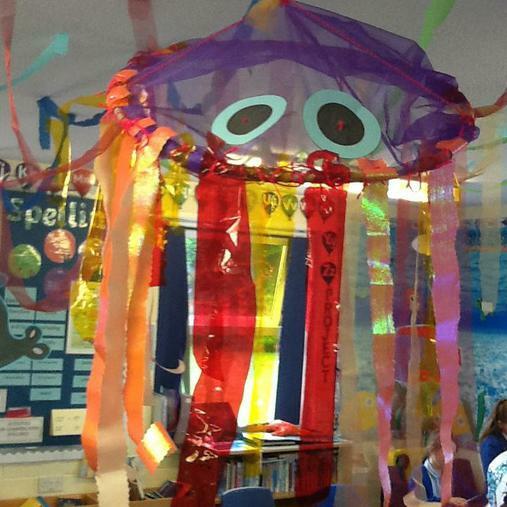 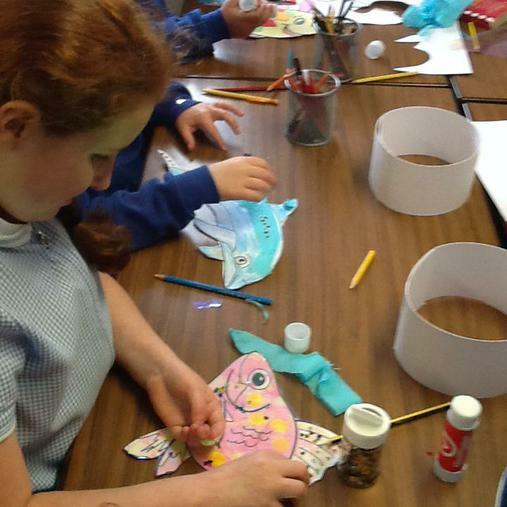 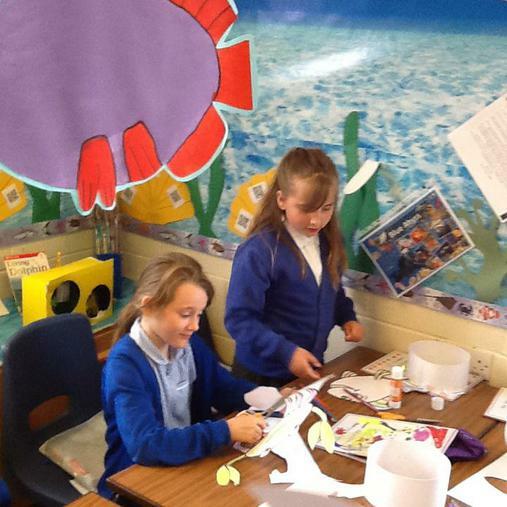 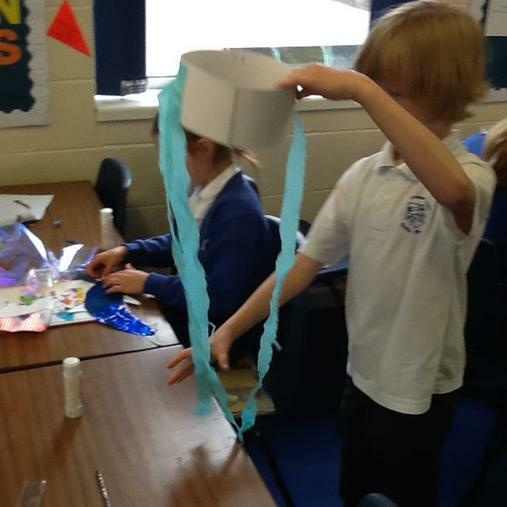 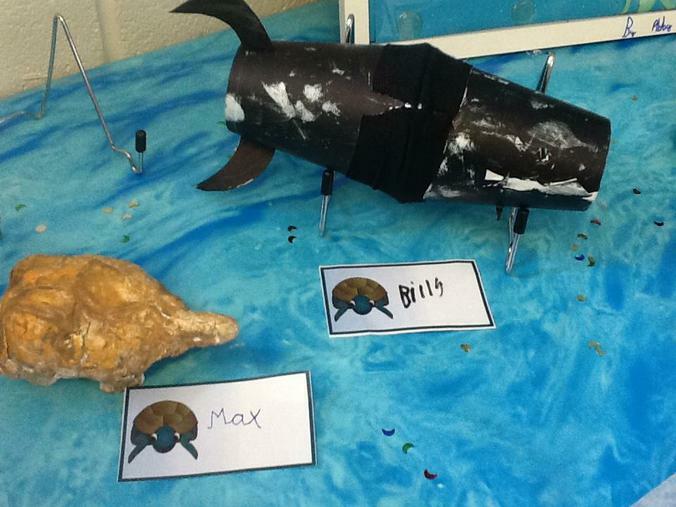 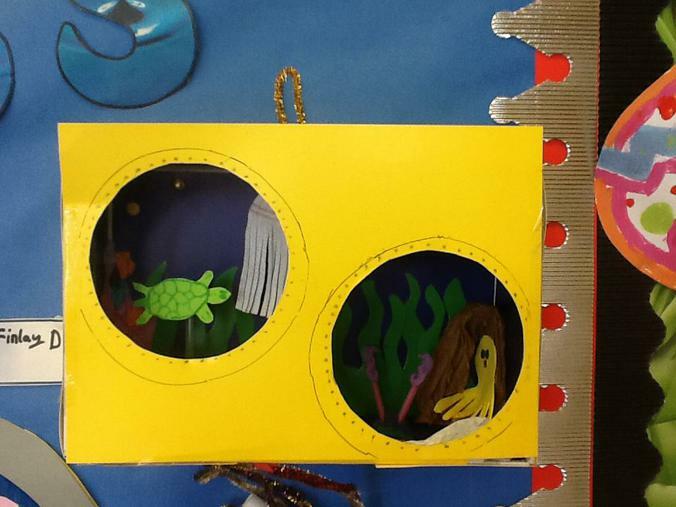 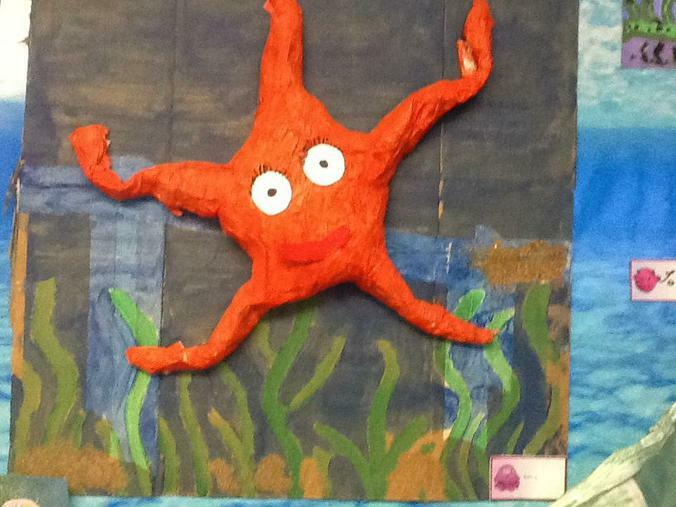 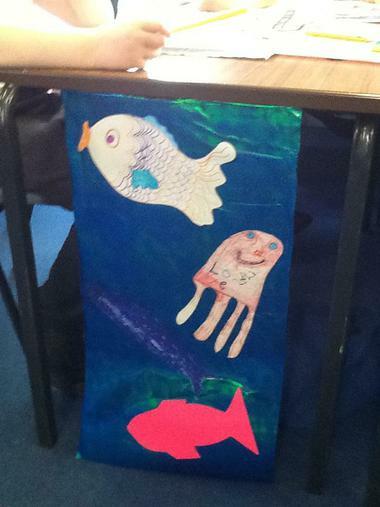 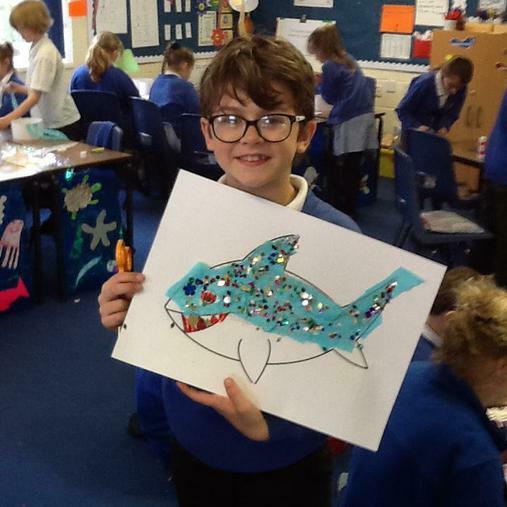 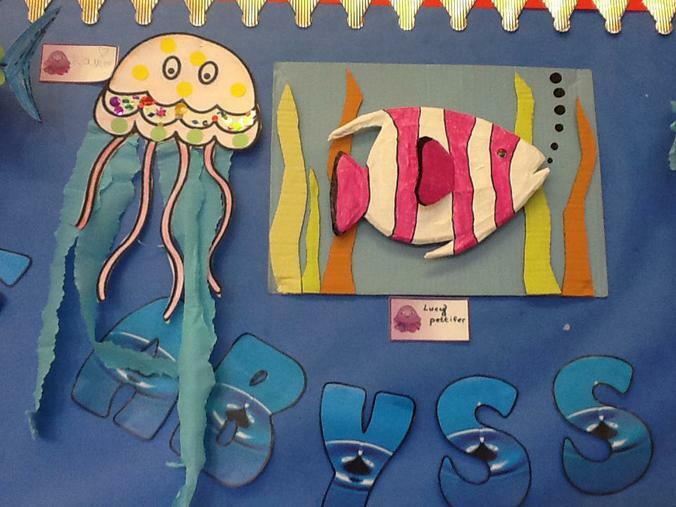 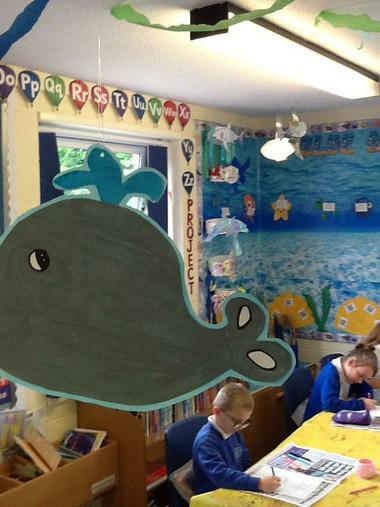 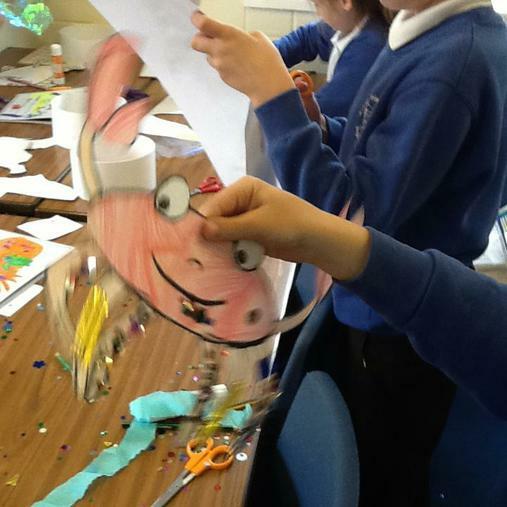 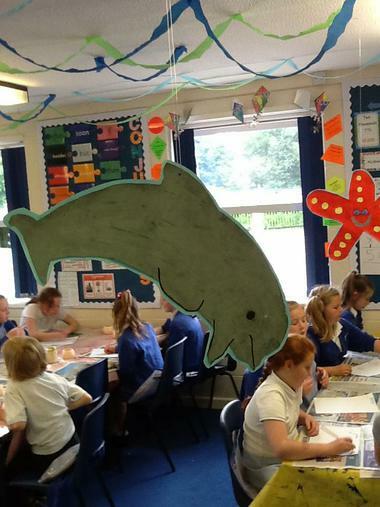 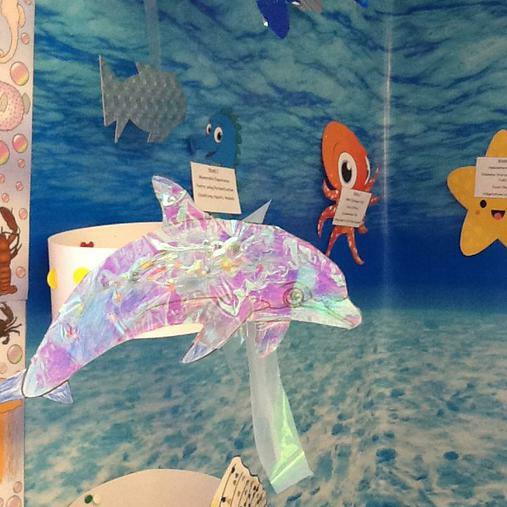 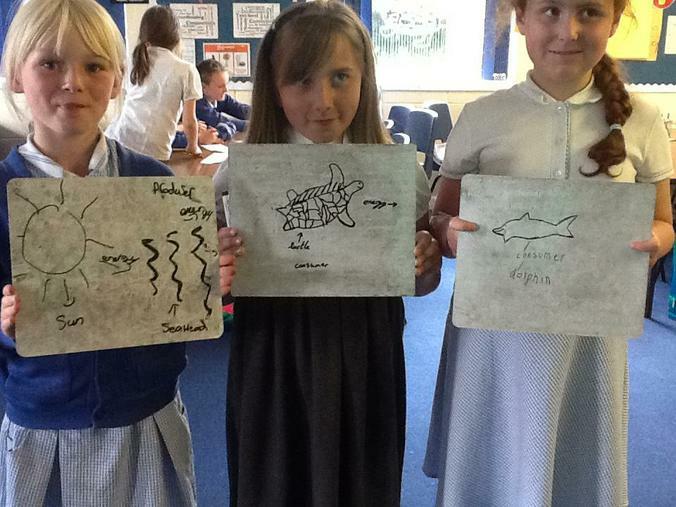 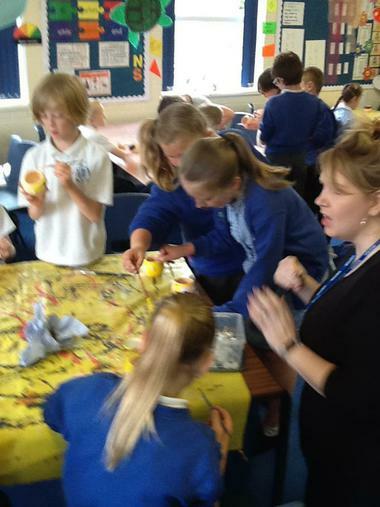 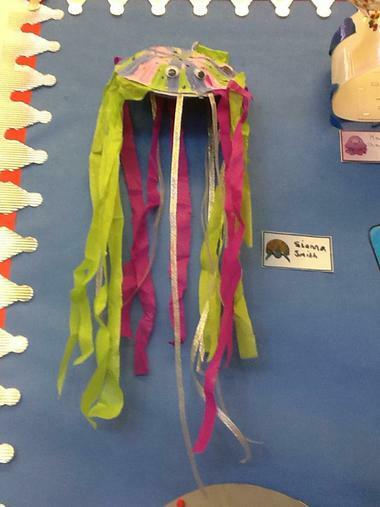 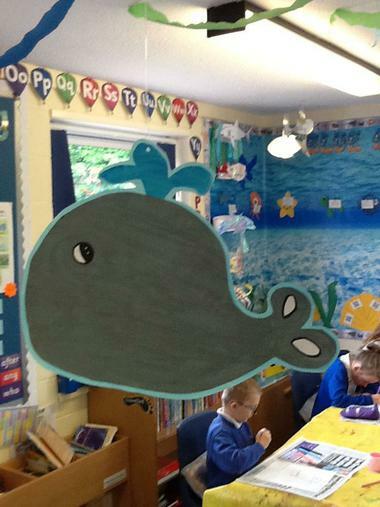 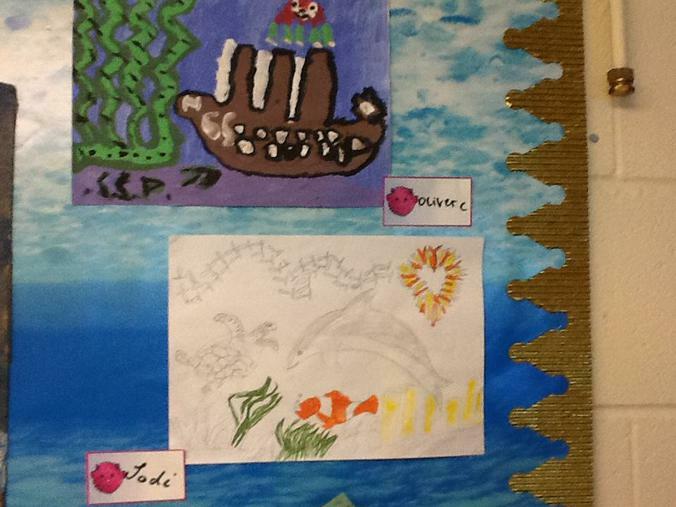 Launch event: every pupil designed their own 'Blue Abyss' sea creature hat. 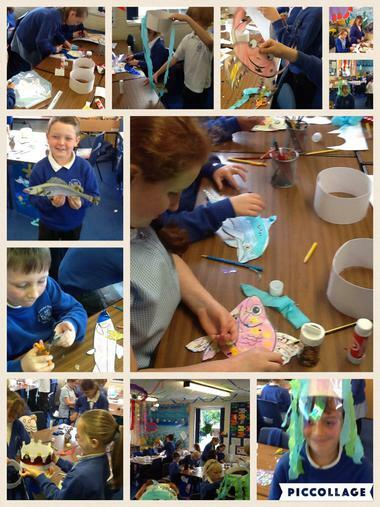 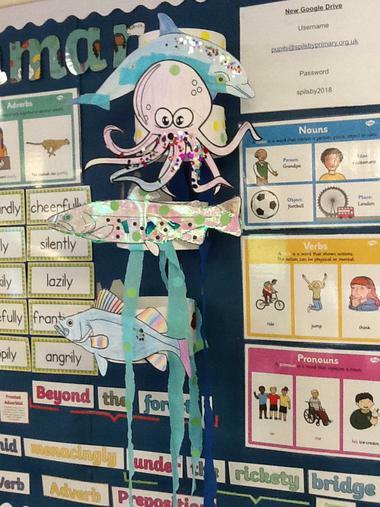 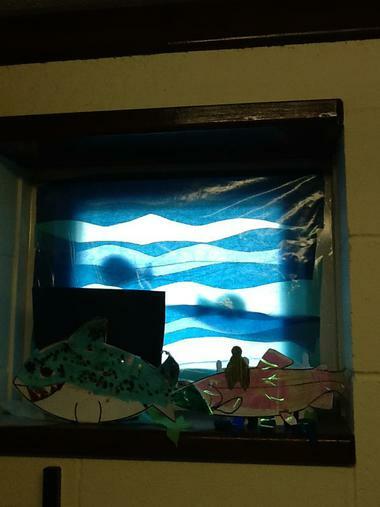 Welcome to our fishy world! 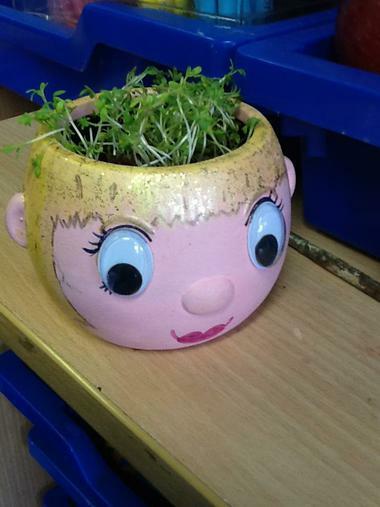 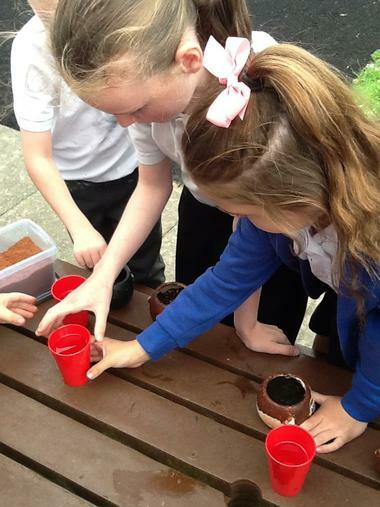 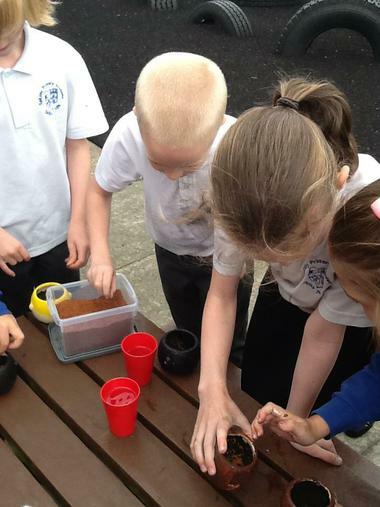 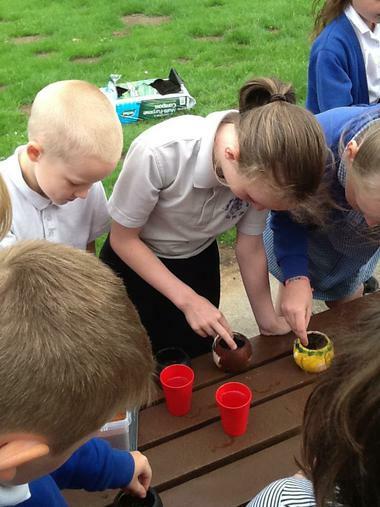 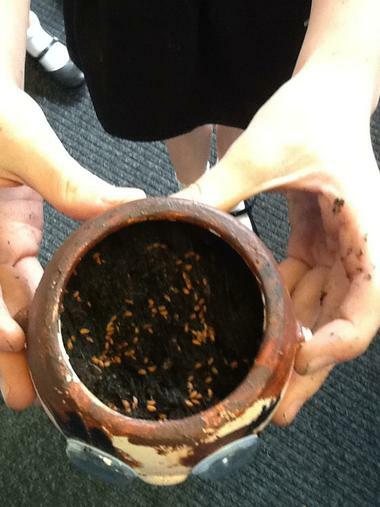 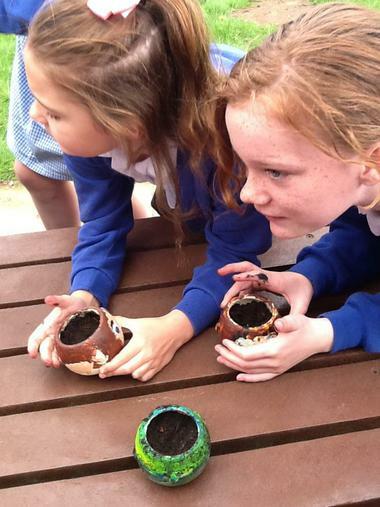 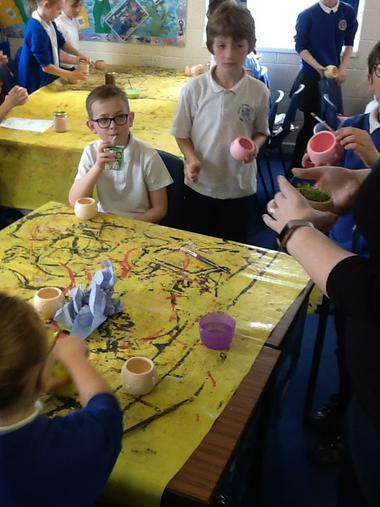 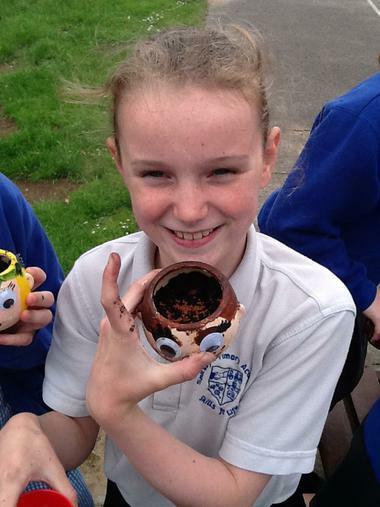 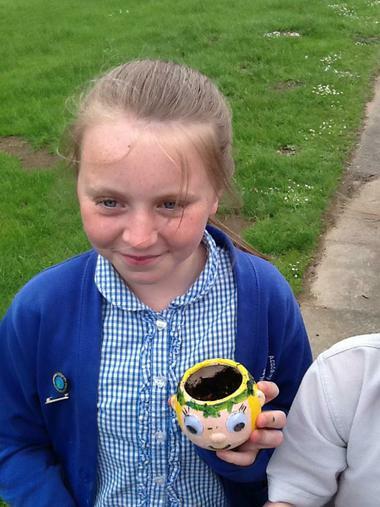 Year 4 Healthy minds- Self Care morning We made some happy face, cress growing, pots: caring for plants teaches us to care for ourselves! 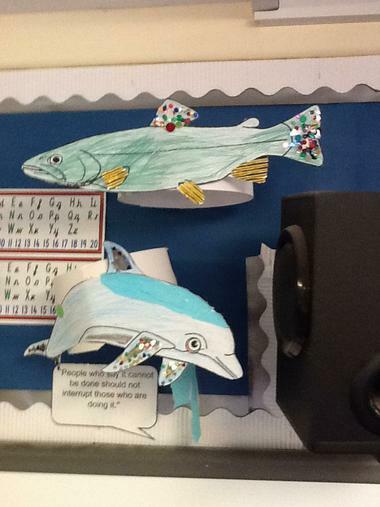 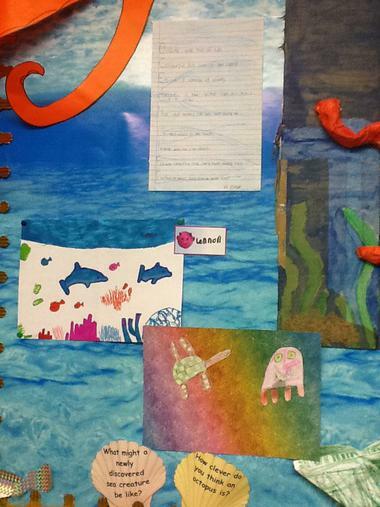 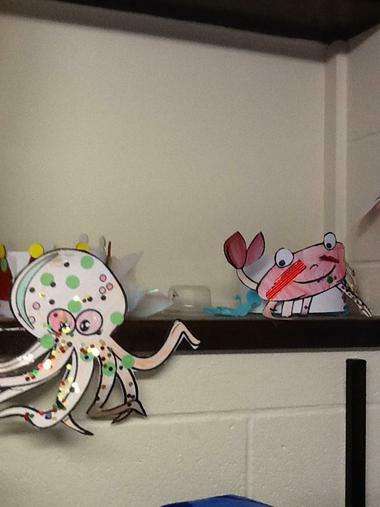 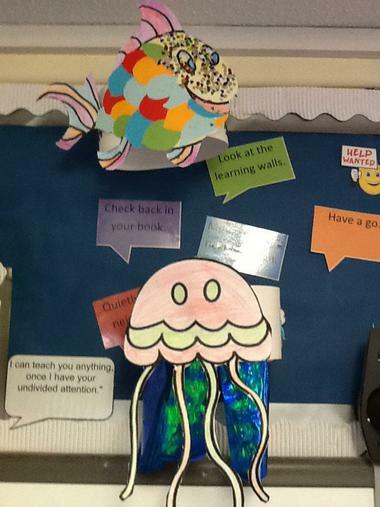 Here are some examples of the wonderful home learning that Y4 have brought in so far. 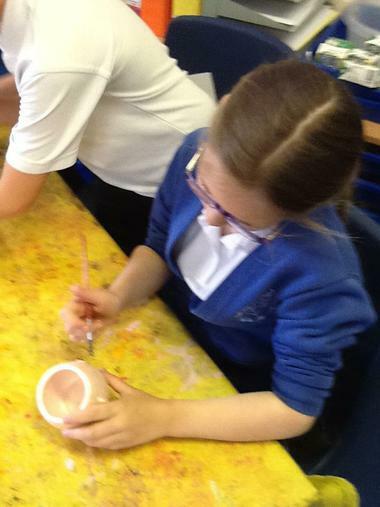 Initially, we researched the exploration ship The Challenger. 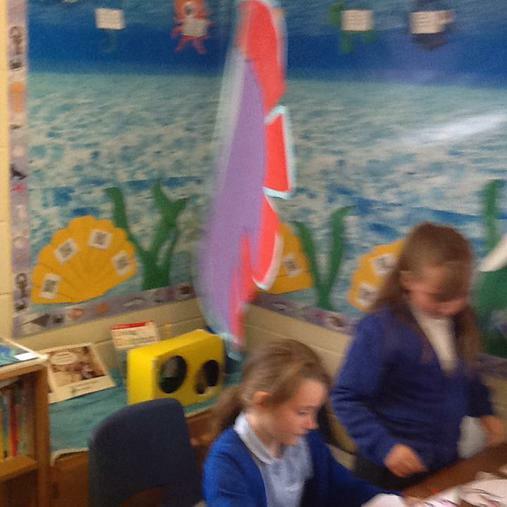 Then we wrote diary entries as if we crew members of the ship. 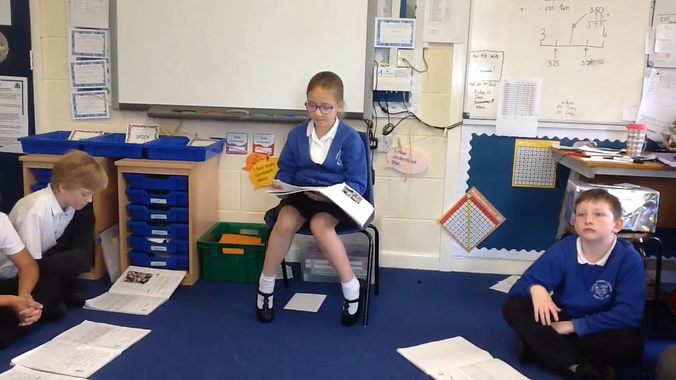 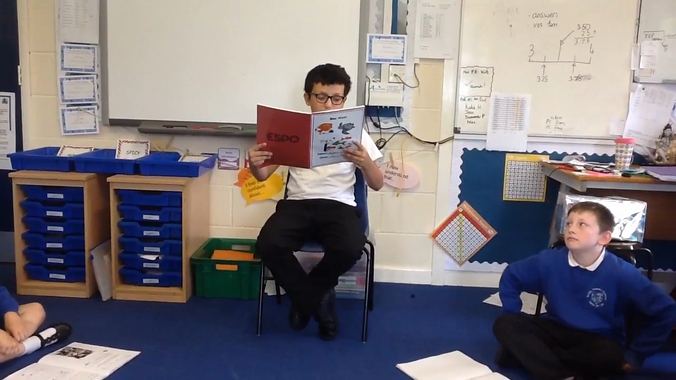 The videos below give a taster of the quality work produced. 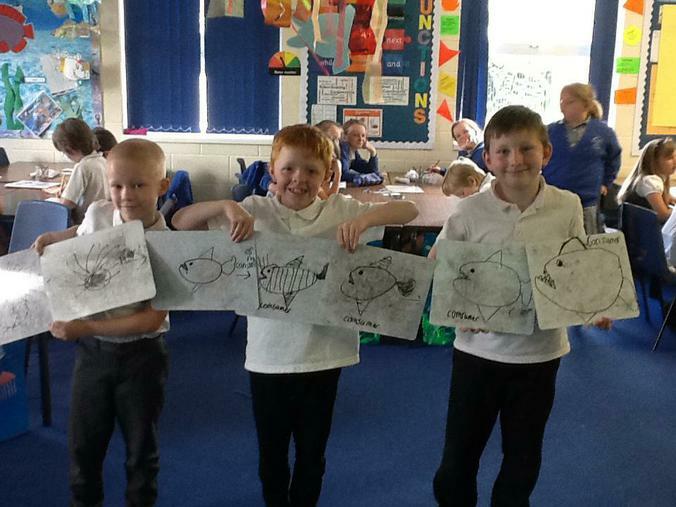 This afternoon we explored food chains. 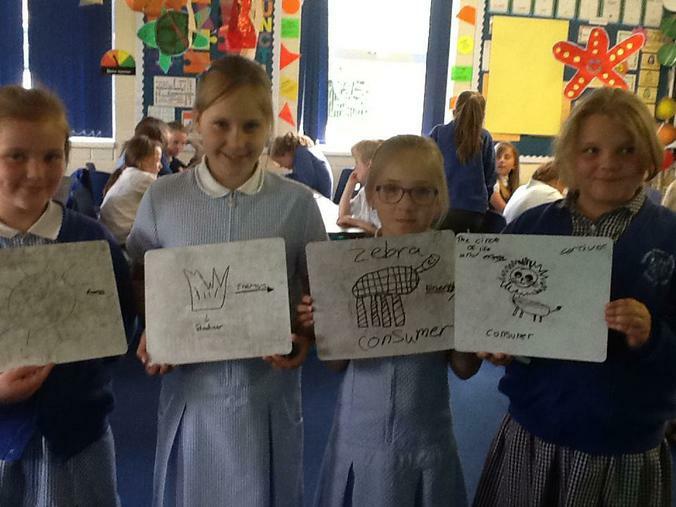 A wide range of technical vocabulary was used, including herbivore, carnivore, omnivore, producer, consumer, decomposed and energy. 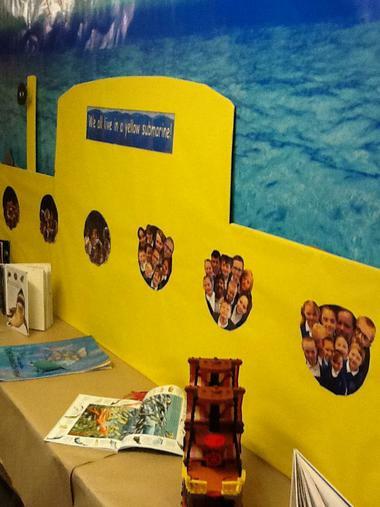 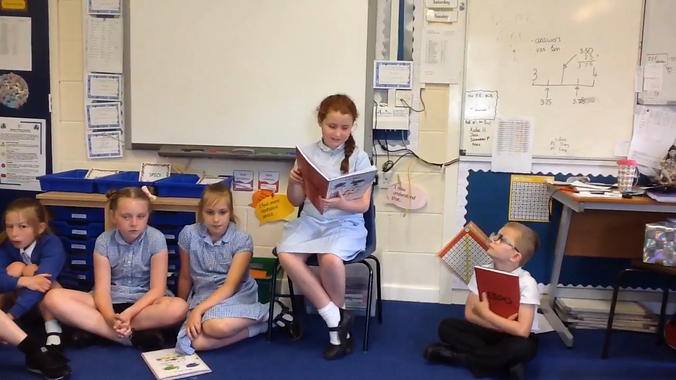 First we enjoyed a slide presentation, with the children taking turns to read aloud. 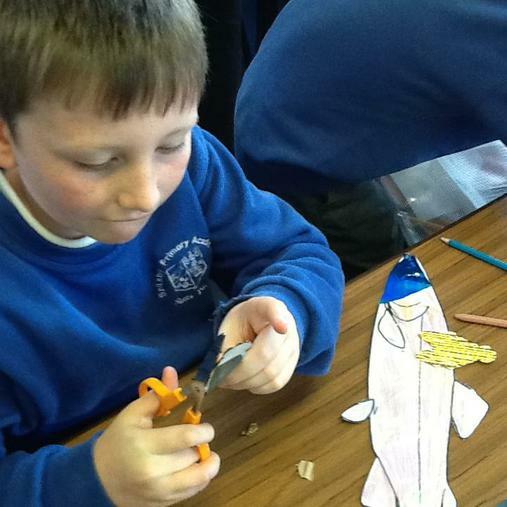 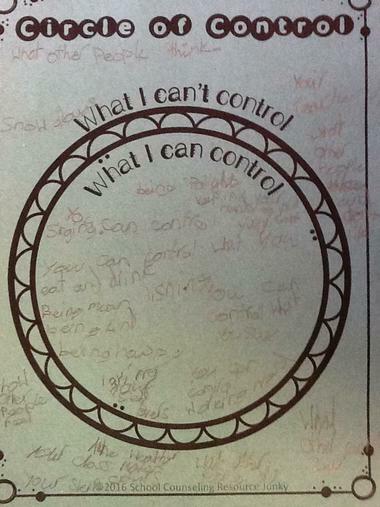 Then we worked in groups to create a variety of land and sea based food chains, making sure that we labelled them. 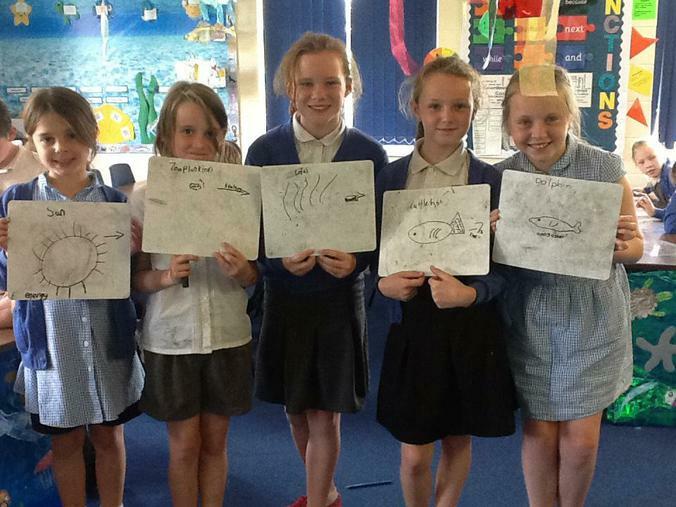 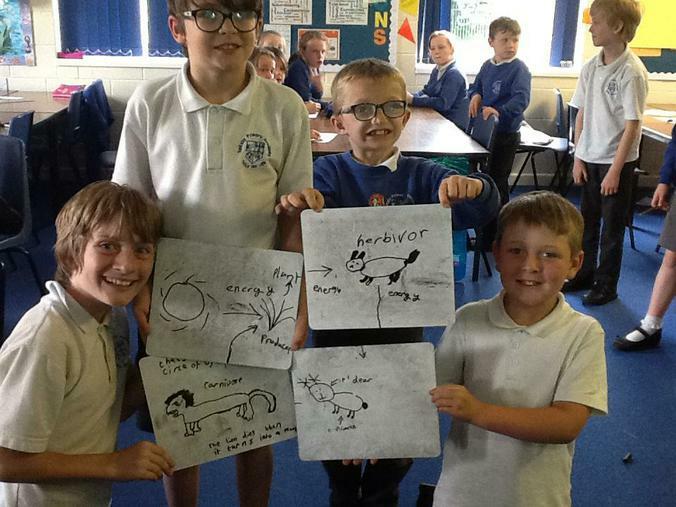 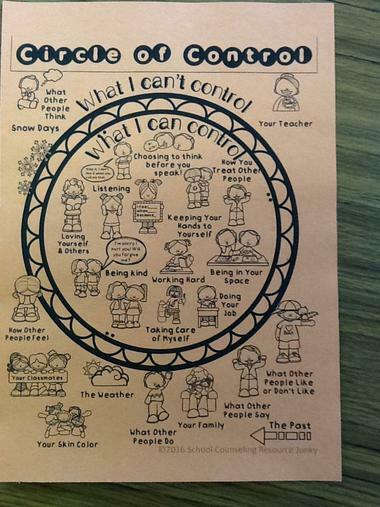 Each child was then able to produce an individual food chain diagram to go in their books. 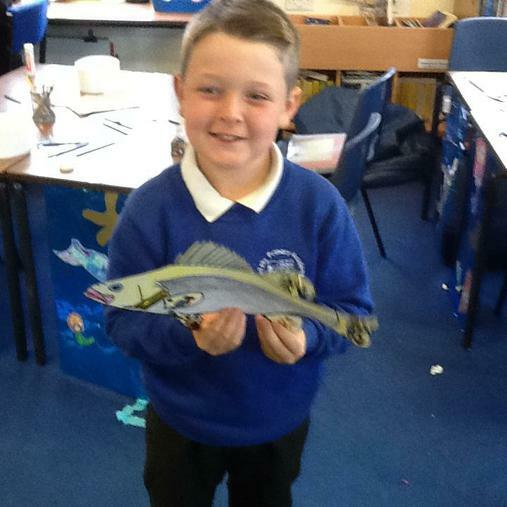 Joseph Begley, from Lincs F.M. 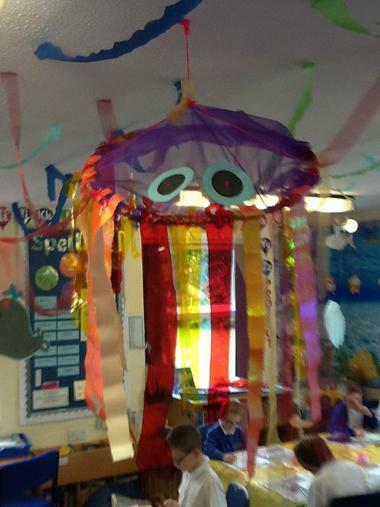 visited Year 4 today. 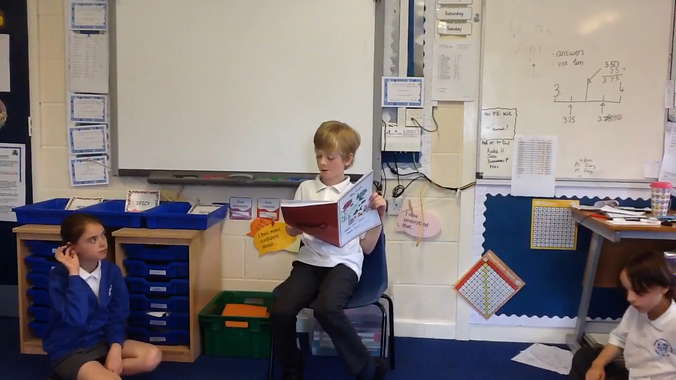 He was interviewing us for his breakfast show. 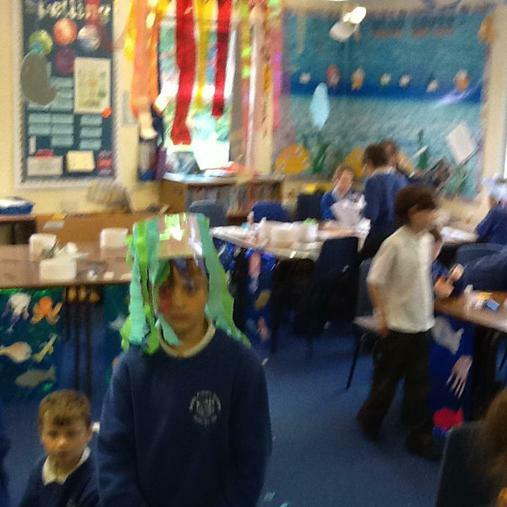 We really enjoyed his company and hope that we wowed him with our Blue Abyss facts. 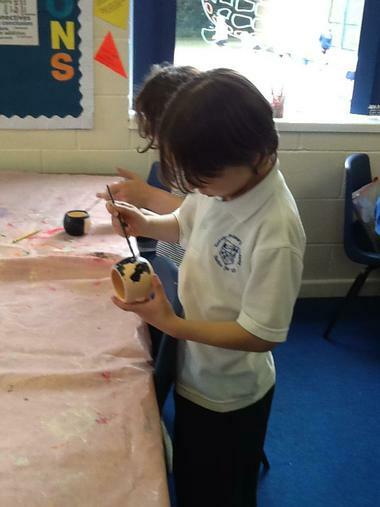 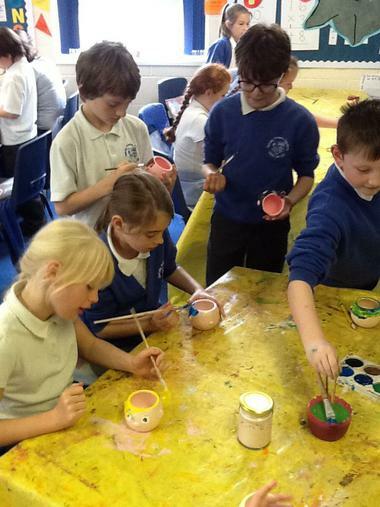 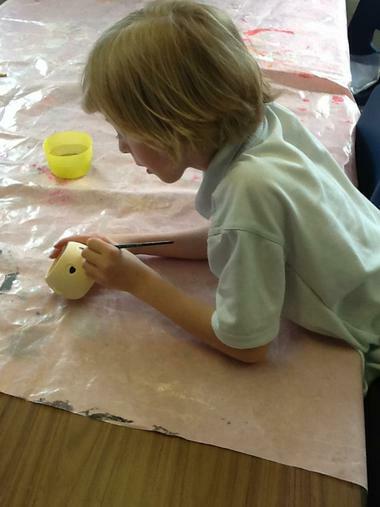 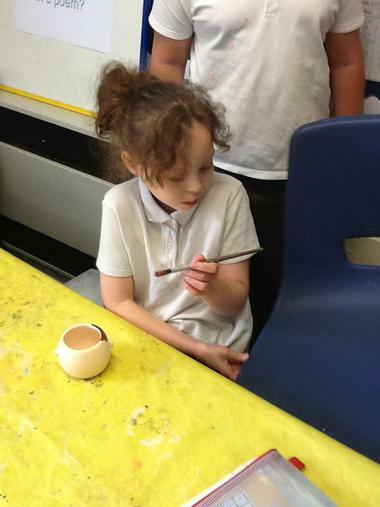 This afternoon Year 4 were cultured and creative. 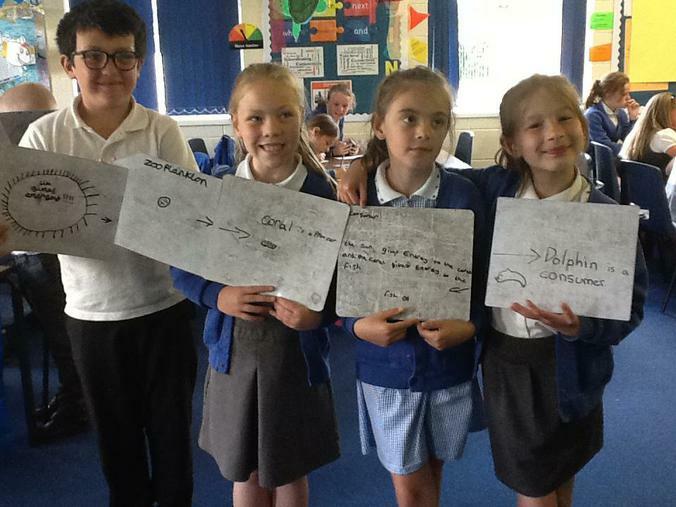 We studied the artwork of world famous artist Antony Gormley, in particular his iconic Angel of the North and his beach based installation 'Another Place.' 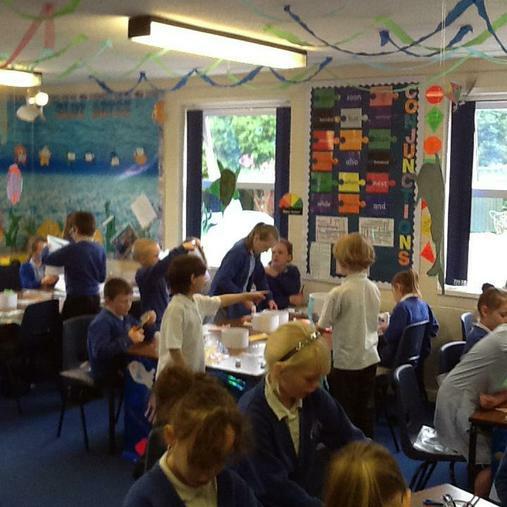 We looked at lots of images of Another Place and discussed how it made us feel. 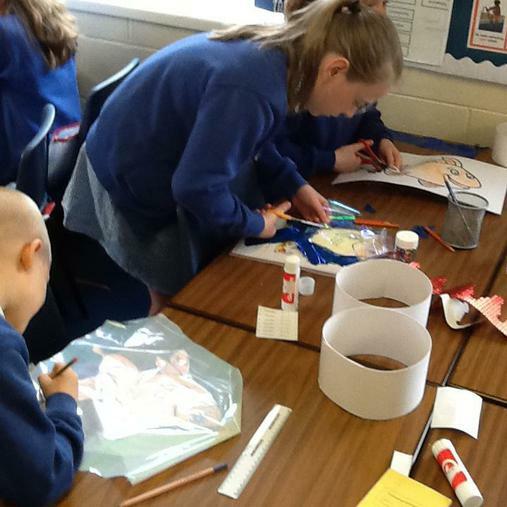 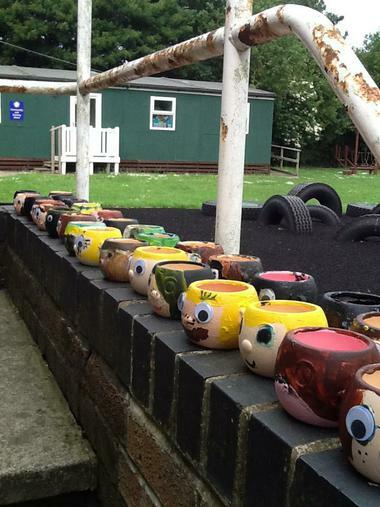 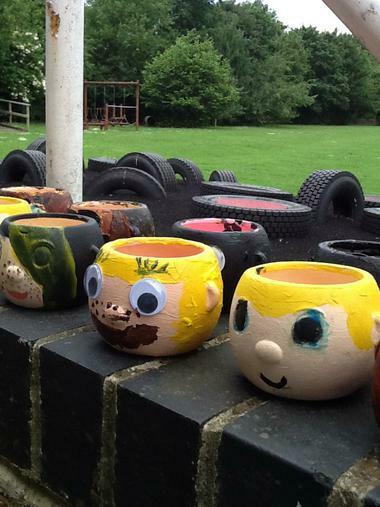 We then went onto the school field to re-create the artwork there, each child representing a statue. 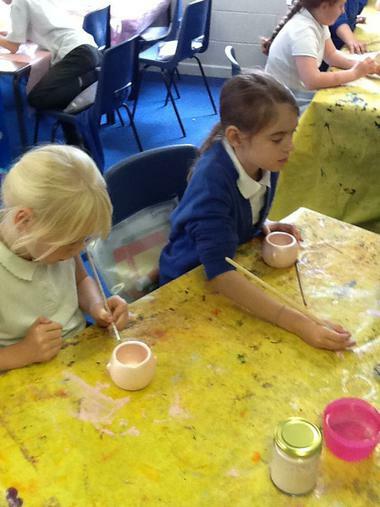 Back inside, we practised our sketching skills, working on tricky hands and feet. 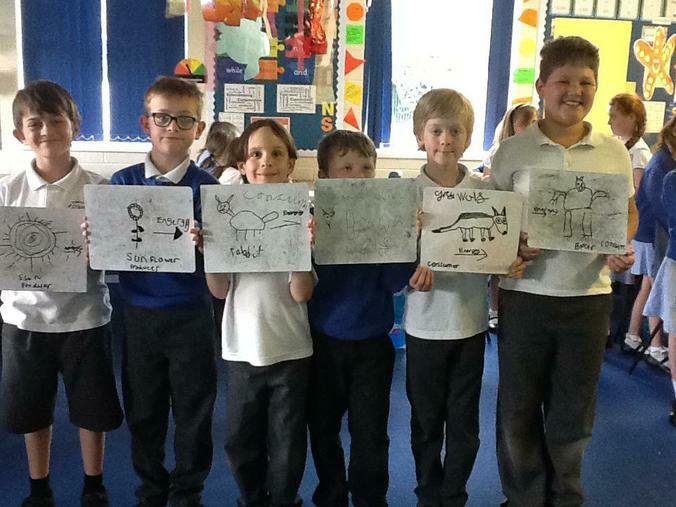 Finally, we sketched plans for a statue based on ourselves, as Antony Gormley based many of his statues on himself.